Let's also write this as a story. Because, in my humble opinion, this is yet another metaphor of the time we are living. Once upon a time Silvia Romano and Massimo Gramellini, a famous journalist of one of the most important Italian newspaper. Take him for instance, just for that. I do not know the first one and I learned of her only after the tragic news about her abduction. Well, this should be the due incipit for the vast majority of people, when we are dealing about persons we never met, even if they are on the great media’s spot. I do not know the person and I learned of her only after the news, I repeat. Of course, among those who want to express an opinion, if they need to. What we know for sure is very little: we know that the kidnapping took place in Chakama, in southern Kenya. The girl was there as a volunteer of Africa Milele, an Italian non-profit organization, and she has long been involved in projects in the area. There is still no reliable information on the reasons for the seizure. So, officially, there is not even a demand for a ransom. At the same time, we ignore a multitude of things. We have no idea why she chose to volunteer in Africa. We do not know what her personal motivations are. We do not know her ideals. We can not pretend to understand, just by reading four lines on the internet, why a young girl leaves her country to work in so different a place from where she grew up, putting herself at risk and the privileges due to her homeland. We do not know if she ever doubted the choice she made. In such a case, we ignore what has convinced her even more to live up to her difficult decision. We do not know what she hopes to accomplish with her work. We do not know her short, medium and long-term goals. We are not able to see, from so far and with so little knowledge of the person, what she actually wrote on her horizon. Furthermore, we do not know what she is feeling at the moment. What's going through her head. Ultimately, it really hurts to say, we do not know if she is still alive or not. And yet, all this does not prevent Massimo Gramellini and many others from filling their pages with opinions about Silvia Romano’s life. I do not know the journalist, as I ignore the man, that is my equally dutiful premise. 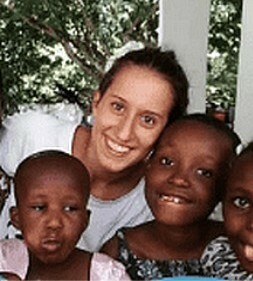 However, on his first article he declares to agree with those who argue that the young girl kidnapped in Kenya by a band of Somalis could have met her despair of altruism in Italy, instead of going to risk life in a lost village in the heart of the forest, and that her reckless choice risks costing the Italian taxpayers a substantial ransom. Immediately after he states that he can not accept the ferocious attacks to someone – like her – now in the bandits' hands. Well, I think this represents perfectly the modern way of communicating, which has also led to populist governments in Italy and many other countries. Moreover, the next day, Massimo Gramellini decided to rewrite his concept, but the message is the same: he agrees with the people who comment facts, knowing almost nothing of what they are talking about, because it is exactly what he did with Silvia Romano’s life. Not in the premise, but in what he adds later. He wrote about Romano describing her as a naive, a bit crazy, girl who wants to embrace the world with the illusion of being able to change it. The truths is that none of us can tell that. At the same time, I have the absolute confidence that at this precise moment an incalculable and invisible number of young girls and boys are really changing the world out there, showing remarkable wisdom and clearness of mind. The deluded ones are those who believe they have already understood everything about their own life and others. Well, here is the metaphor I was talking about. On one hand, we have the people who vomit every day on the white paper or screen everything passes through their head, about everything and everyone, forgetting the value of silence and the understanding of things, sharing lots of speeches that contradict themselves. But in the meantime, please, give us a click for the ads. On the other hand, fortunately for us, we have Silvia Romano. May heaven, or who else, help her to return safe to her dreams and her projects, as well as her loved ones. Because we all desperately need people like her.